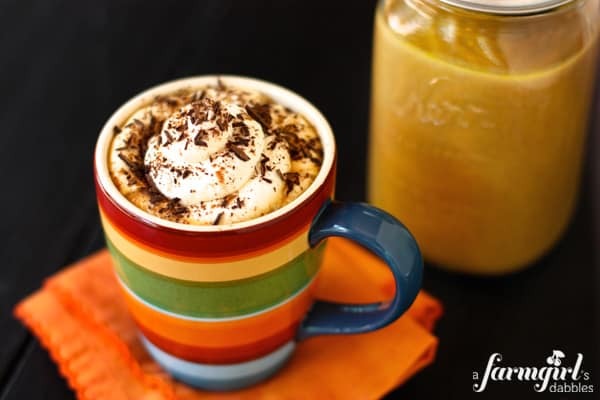 Just make up one big batch of this Pumpkin Spice Latte mixture to enjoy a hot and fresh cup of spiced fall goodness every day for a week! I’m not a regular at the coffee shop. And it’s not that I don’t like what the baristas are concocting behind the counter. No, I’m actually quite fond of their beverages, both steaming hot and served over ice. It simply comes down to the dollar for me. I just can’t part with 4 or 5 bucks for a fancy coffee on a regular basis. But this fall, I plan to indulge a bit more often in one of my favorite latte flavors, without even getting out of my pajamas in the morning. Because I have a simple and delicious recipe for a homemade Pumpkin Spice Latte. And what I think is really cool, is that the recipe makes enough spiced pumpkin mixture for a pumpkin spice latte every day for a week. No measuring individual ingredients every day. Just make up one big batch, and enjoy a hot and fresh cup of spiced fall goodness, with only the slightest bit of effort each morning. What a way to start the day! In a blender, combine all the pumpkin spice mixture ingredients. Puree for about 30 seconds. If you want a smoother mixture, puree for a couple minutes, or until the mixture is to your desired consistency. Pour 1/2 cup (more or less, depending on your preference) of the pumpkin spice mixture into a large mug. Microwave for about 20 seconds, then add 1 cup of hot strong brewed coffee and stir. Top with a nice lofty pile of sweetened whipped cream. Sprinkle lightly with cinnamon. And if you’re looking for extra deliciousness, top with chocolate shavings. So pretty! Pour the remaining pumpkin spice mixture into a quart jar or similar sized container and top with a lid. Store in the refrigerator. When ready to make another drink, shake the jar well and repeat the assembly of the pumpkin spice latte. The pumpkin spice mixture will keep well for up to 1 week in the refrigerator. Love this! Not just for coffee either, for pumpkin spice Chai teatea, smoothies or even pumpkin spice hot milk Steamer!! Thanks so much. Dairy free can sub coconut milk or cream and maple syrup! Hello! Basically, I just wanted to tell you that your pumpkin spice latte is the BEST recipe I’ve EVERY tried!!! Thanks soooooo much for sharing it!! I’ve been using it for over a year!!! Brenda, linking to this from Life In Grace….. This sounds wonderful! And a perfect treat for my book club girls. Looking forward to making these!!! Wonderful! Love it in my coffee and it is also great as a flavoring for my oatmeal. Thank you so much! Oooooo…in oatmeal?! I need to try that! Thanks! This looks delish! Can’t wait to give it a try. I just made my first batch, going to share with my family tonight….I looove it!! :) thanks! 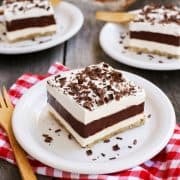 recipes that I found and being disappointed in those, I found this one. The only thing I can say is BINGO !!!! Wonderful! So glad you liked this, Pamela! I just have to send you a thanks… I’m a teacher and brought half of my batch into work, and it’s such a huge hit. :) So thank you!! Finally got around to making this–my only tweak is using Penzeys Pumpkin Pie Spice–2 T.–for all the spices because I am lazy and they are down the street from me. I whipped it up in a food processsor. I know some people do not like the sludge of spices in the bottom of the cup but I am pushing 70 and coffee was always percolated on the stove and always had grounds floating around and in the bottom of your cup. I love a the ‘heft’ and body this has. It is a lovely taste treat. This is the best part of fall! Hi, can I use skim milk and nonfat sweetened condensed milk? I’ve made it with skim milk and it worked fine for me. Also did a batch with almond milk once, it also turned out well. Je me nomme La Roux. Je suis une jeune femme de 18 piges . Mon occupation principale, journaliste . Mon naturel est plutôt enjoué. Je suis vieille de trente-quatre années tant pis si ça ne se dit pas . Ce que je fais dans la vie, assistante juridique . Mon caractère est plutôt réservé. This is loaded with pumpkin and spice, which my family adores. Adjust to your own liking! Hi there! I made this pumpkin spice latte for our Thanksgiving tailgate on Saturday (sadly, our team lost). Since it was a cold day and we’d be tailgating all afternoon, I decided to combine the pumpkin spice mixture with a pot of coffee … just poured the whole thing into a crockpot. I had thermal to-go cups, some Reddi-Whip, and a ladel to serve it up. 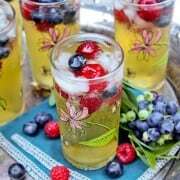 This drink was a total hit!! Except for one tailgater who mistook it for gravy and ladled it over her turkey and mashed potatoes! Whoops! Anyhoo, I’ll definitely make this again! I make my similar, but with a twist. I take a half gallon of milk, pour out 2 cups. I then add 10 tablespoons of pumpkin and let sit in the fridge for an hour or 2, shaking 2-3 times. Then I use a fine mesh strainer to take out the mushy pumpkin. I follow the rest as stated. I get a excellent lattee without the leftover mush on the bottom of my cup, which I use to forget about and choke down. This is an EXCELLENT recipe! I substituted cardamom for the ginger in a pinch, and it still came out tasting pretty delicious. I /have/ had some problems with floating particles though upon reheating the mixture, I’ll have to be careful of overheating. Yummmy – I’ve made it twice now. I didn’t have allspice the first two times, unfortunately. I’m going to make it again tonight and I do have allspice this time. It’s marvelous. I enjoy it from the first sip to the last drop. I’m so glad you posted it! I just made it and am going to put it in pancakes!!! I want to preface everything by saying, this is delicious! Very good, and the end coffee drink had body, texture was very luscious. As suggested, I did blend it for a couple of minutes for a smooth texture. Observations: 1) Do not overheat mixture in microwave. My work’s microwave is a beast and the base came out grainy after 25 seconds. Next time, heated in 10 second bursts; came out perfect. 2) I’m not sure if its my imagination. I made this without allspice and half the cinnamon because I ran out of both. However, I felt that by the fifth day (today) in the fridge, the clove flavor in the base had become very strong. Still drinkable, but maybe not for the 6th/7th day. Perhaps next time I’ll add a pinch of cloves at the time of making? Overall, great recipe! No regrets and probably future repeats. Thanks! How did you adapt for the frappuccino? Having one now and it is wonderful!! Thank you so much for sharing. I just made my first (definitely NOT my last) batch of Pumpkin Spice Latte. Thanks so much for sharing this recipe with all of us. I read the reviews and so I blended mine for about two minutes. I’m afraid I drank my first cup too fast to notice much grittiness. It was THAT good!! I would rather have the full flavor and texture than the price and additives elsewhere so again, thank you! My husband and I made these tonight and are enjoying them as a type. We like espresso and don’t buy sweetened condensed milk, so I used heavy cream and extra sugar instead, and we steamed some milk to add to the three shots and mixture in the mug. I didn’t purée it but passed it through a fine meshed strainer after heating pumpkin ingredients to combine. I notice texture but no grittiness. It’s earthy and yummy! I just made this and love it! I don’t have any grittiness. Maybe the quality of the pumpkin? Or maybe I’m just used to chewy coffee from my French press! So sorry to hear this, Julia. It is a thicker mix, because I wanted that true pumpkin flavor, and used real pumpkin puree and plenty of fall spices. I think everyone’s blenders are different, too, so that might have something to do with how well it actually gets blended. My family loves it, and I know people who have made up a new batch of this every week since I posted the recipe. I suppose you could try straining the mixture through cheesecloth, although I haven’t tried it myself. Thanks! I’m going to try it this afternoon! Hello Kathleen, and thank you! I’m sorry to say that I don’t figure calories for any of my recipes. I made this and blended it for 45 seconds or so. The taste is great but there is grittyness to the drink. However it actually fills me up and I feel good drinking it because it has real pumpkin in it. I prefer dunkin donuts pumpkin lattes but to make this myself at home I have to say it’s a hit!! My kids even liked it. I made it with decaf coffee for them! This is a thicker mix beings it is made with pumpkin, and not a base of water or cream. It’s not for everyone. But our family loves it!! Have you ever made steamers for your kids (and yourself!)? This would be great for that! Nice to hear from you Corrie, thanks for stopping by! I have just added making that to my plans for the day! Do you happen to know what company makes that mug, or what stores carry that pattern? I love it as much as the latte recipe! Thanks, Paula! I found the mug at Pier 1. I have an espresso machine and instead of one cup of hot coffee and the half cup of mix, I use 2 shots of espresso and heat the half cup of mix with a half cup of milk! Thanks so much for the great recipe!! It’s perfect!! I have an espresso machine and instead of one cup of hot coffee and the half cup of mix, I use 2 shots of espresso and heat the half cup of mix with a half cup of milk! Thanks so much for the great recipe!! It’s prefect!! This was excellent, though I will say that if you have a cheap blender, you might want to blend much longer than 30 seconds. I used my Vitamix, about 45 seconds on variable 10, then 15 seconds on high and still got a tiiiiny bit of grittiness. I think a little was from the pumpkin, but mostly from the spice. Next time I’ll do a full minute in the Vitamix on high. Flavor was perfect though! Not too sweet, plenty of spice. Hi Laura! This is not a syrup or cream, and will give a slightly thickened texture to the coffee. It’s not for everyone, as some of the comments relay. But…for those who like the pumped up real pumpkin and spices…it’s been a real hit! I should have realized that no one who reviewed it had actually made this. The flavor is nice, but I can’t get past the gritty/slightly chunky texture from the pumpkin. I had to strain it out after half a cup. Puree very very well if you want to try this. I also thought this was too textured and not very flavorful. My coffee looked like it curdles when I put this mix in. I have since found a recipe for pumpkin spice syrup that does taste like starbucks. Wow! I am so excited to try this in the morning! I shamelessly drop my $$ at Starbucks simply because I haven’t found another one that is as good! Way excited to make this! Thanks for posting!!! This sounds amazing and I cannot wait to try it. The pumpkin spice latte is one of my favorites, but I agree that it just gets too expensive. Thank you so much for this! Just made this to take to work tonight and I can’t wait to try it! I’m a night shift L&D nurse and we’re always looking for fun, yummy things to keep us awake. Perfect way to welcome October! Thank you for the recipe! Ok here is the deal…I really don’t like coffee but I absolutely love love love this latte and now I am hooked on it! I substituted skim milk for whole and it tastes terrific. Thank you…and I love your website too. Now THAT’s a testimony! :) Thanks for coming back to let me know, Joan. 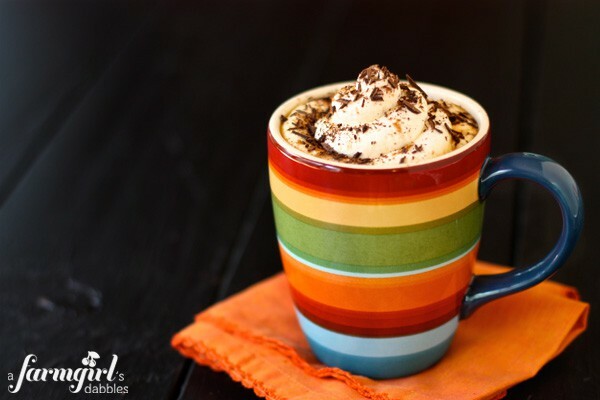 I sent this post off to a friend right away…so many fans of Pumpkin Spice Lattes in my group of gals! I’ve been planning an upcoming post for ice cream based on the lattes, think this will be a good place for me to work the recipe from. Thanks for the starting point! Sounds like a delicious ice cream post!! Thank you so much for sharing, Amy – I appreciate it! Yum! Pumpkin Spice Latte is one of my fave fall drinks. I wonder if there is a way to make it last longer than a week, I wonder what freezing them in individual servings would do to the texture. Yummy, that looks too tempting! And the mug is sooo pretty. What an affordable way of enjoying a favorite drink without the guilt! I can’t do $4-$5 for a cup of coffee either. Morning coffee need not be boring and this is a wonderful sight and smell to welcome the day! I used vanilla coconut milk in place of the whole milk and sprinkled mini chocolate chips on top of the whipped cream. Thank you Brenda! Pingback: Friday Favorites #16 « Okay, Kaye? This looks amazing! I love my morning cup of coffee and about a year ago I quit the artificial flavored creamers so my coffees haven’t been as exciting. 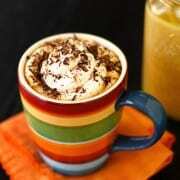 So its so nice to find a coffee recipe like this!!! Thank you! Thanks, Jenny – I hope you like it!! I have been holding on to a can of pumpkin for ever. Wondering what to do with it. Now I know and lucky for me just happened to have a can of condensed milk! Woohoo. Thanks making my 1st latte now. It smells so amazing! Can’t wait. Thanks, Jill – I hope you liked it! Whoa, this looks amazing!! I agree with you on how expensive these drinks can be. 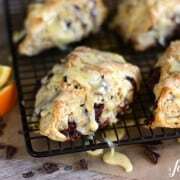 Thank you for this recipe, I’m going to try it this week! What a great idea! And such a great cost-saver and don’t have to even get dressed! I’m the same way about buying coffee, I hate to part with the money. This latte sounds so delicious and easy to make. The ingredients all sound so good together. Looksk so good! Just might have to try this. I’ve never been keen on Starbucks. I think I go once, maybe twice a year at most. When I do go it’s for a creme frapachino or one of there seasonal fall/winter steamers. Those things are so delicious. And even though it’s like 95 degrees out, I’m realign wanting to make this and drink it hot so my insides can feel all warm and cozy. I want it to be fall dang it! Oh my – this looks fabulous! Perfect for the coming fall season! This is so great Brenda! I make myself a latte every morning and this will be a great way for me to spice it up a bit! Today definitely feels like fall is coming. I could use a mug of this right now. This will definitely be part of my Thanksgiving menu! Awesome! Great to hear from you, Susan! I am not even a coffee drinker but this sounds soooooo good…especially since there is such a chill in the air now! Everything about this is perfect, right down to that swirl of whipped cream! You have no idea how excited I am to see this recipe!! We’ve live in England and I guess the Brits don’t appreciate the value of this drink (as the Koreans didn’t I realized during our years in Seoul)…have all the ingredients and I’m planning to make this recipe this weekend!!! So nice to hear from you, Lisa. I hope you liked it! This is perfect, Brenda! I love that I can make one batch that will last me a week! I’d love one of these lattes right now (cute mug too!). Pumpkin and coffee are MFEO! I especially love 1) that you don’t need any special equipment and 2) the chocolate shavings. This is so brilliant Brenda! I rarely go to coffee shops because I’m way too tight to spend $5 on a $.50 cup of coffee. I can’t wait to try this! The homemade version is the best! Love it!